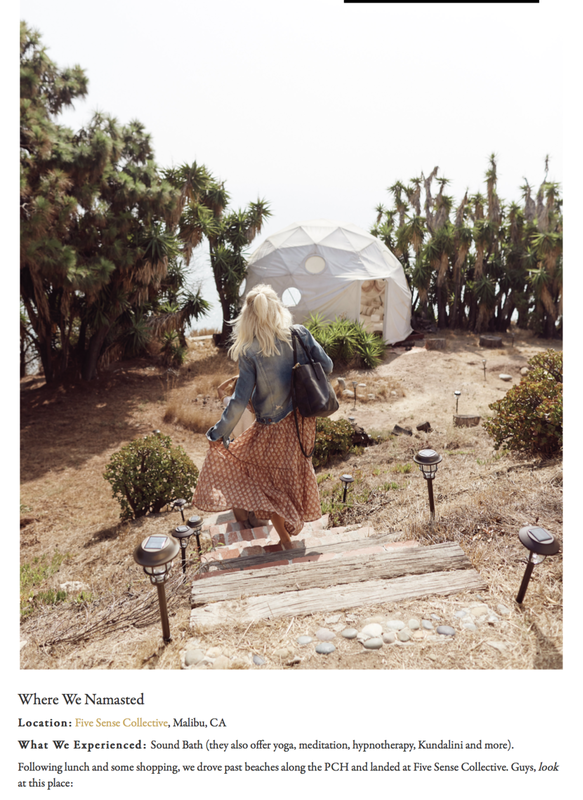 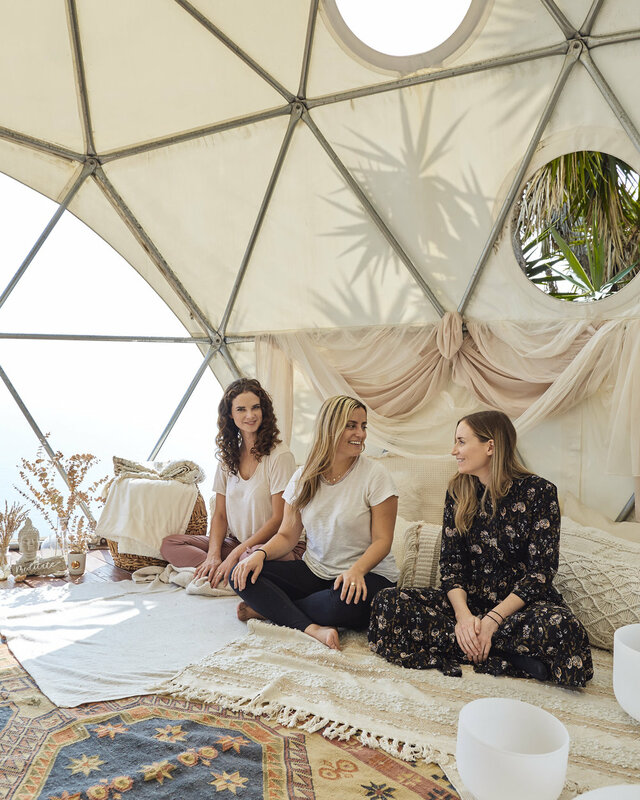 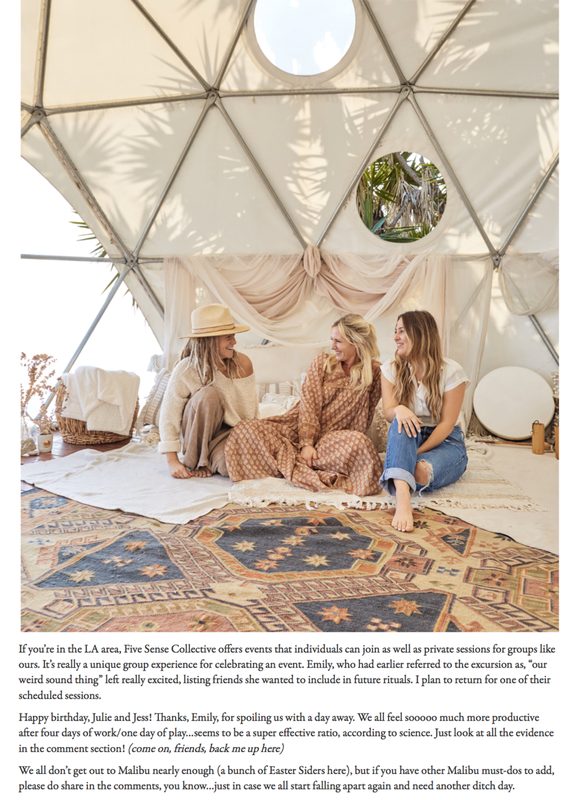 "Co-Founders Dru Erin and Kirscha Cramer are putting a highly-curated, individualized Collective, spin on Los Angeles' saturated wellness industry." 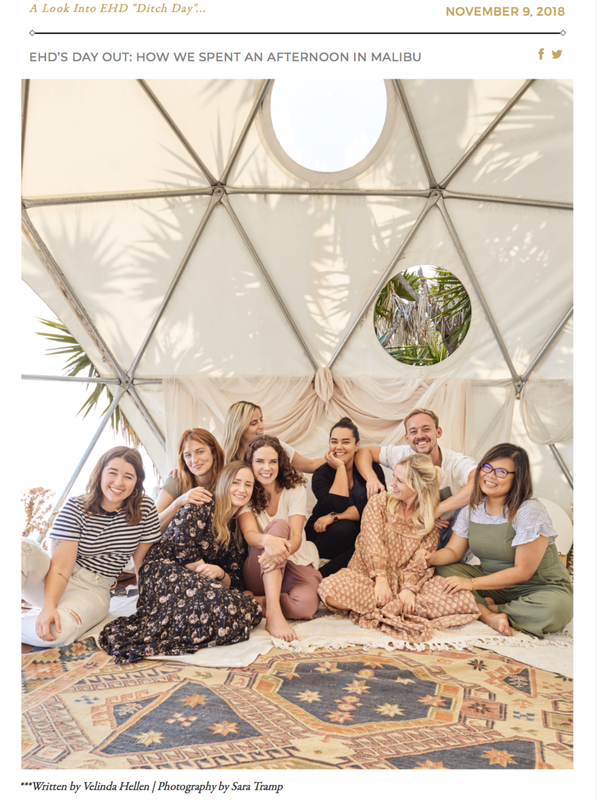 "Alongside spreading positivity within the community, the Collective supports and brings awareness to humanitarian and environmental matters, promoting a sustainable lifestyle from every end." 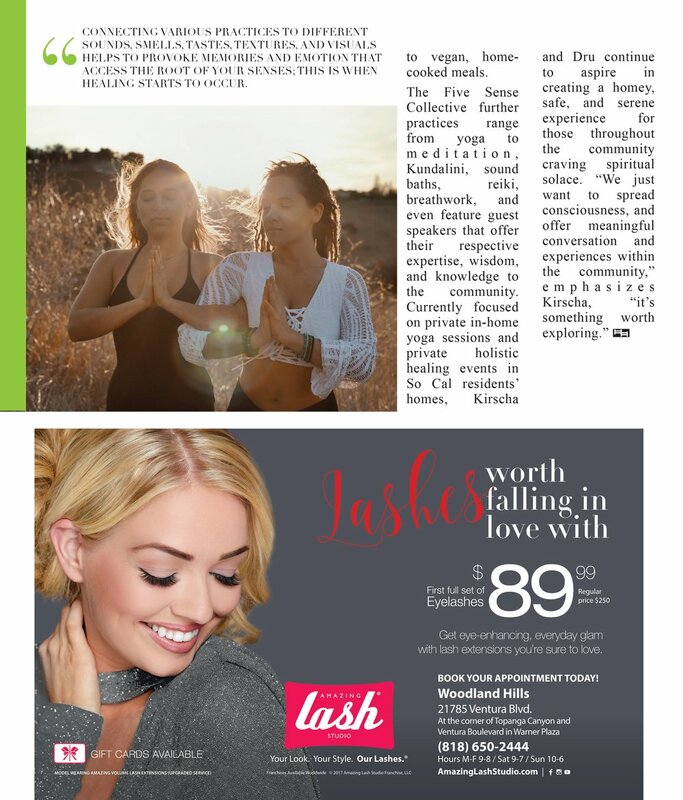 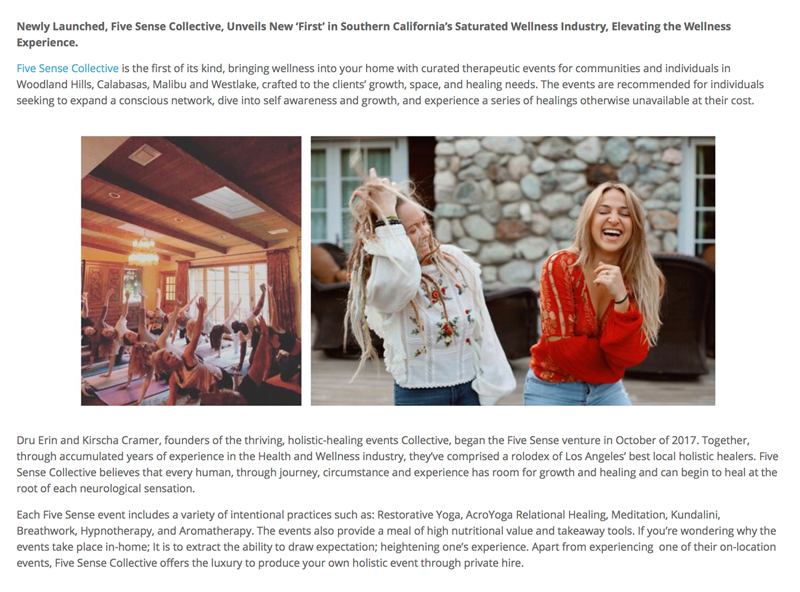 "Five Sense Collective is the first of its kind, bringing wellness into your home with curated therapeutic events for communities and individuals in Woodland Hills, Calabasas, Malibu and Westlake, crafted to the clients’ growth, space, and healing needs." 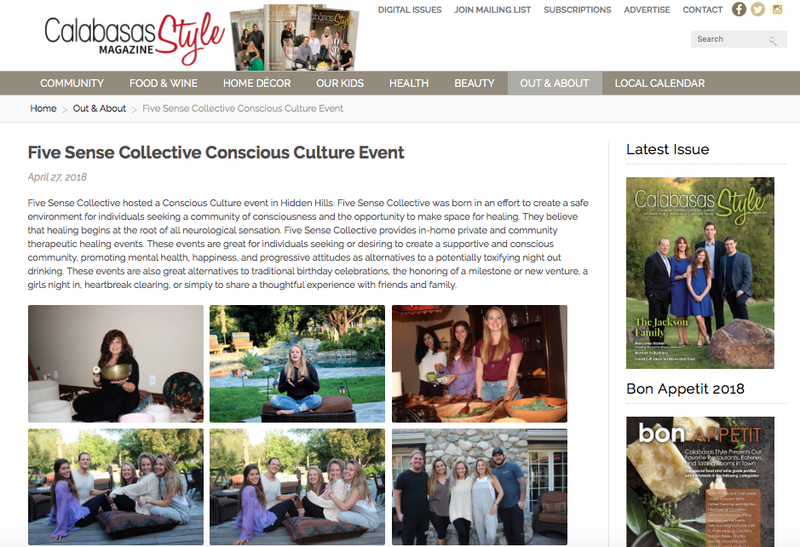 "These events are great for individuals seeking or desiring to create a supportive and conscious community, promoting mental health, happiness, and progressive attitudes as alternatives to a potentially toxifying night out drinking."